It’s September already and the exterior painting season is near its end. But did you know that autumn is the best moment of the year for checking your house and commercial building lintels? Indeed, a lintel (the metal piece supporting the weight of the façade’ structure in the top of a window) has to be strong so that the brick wall won’t collapse. Professional painters from Findécor will generally recommend that you have your lintels checked each year, preferably just before winter, before the frost stops us from working outdoors. 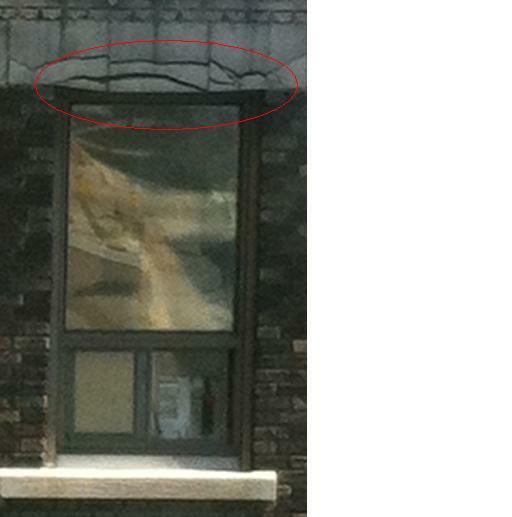 Did you know that if your lintels are never taken care of, it’s in winter that you will most probably have problems? Obviously, a badly-maintained lintel (we recommend to restore them each 10 years or so) will rust a little more each year. This increasing amount of rust will damage the lintel until it cannot support the weight of the structure anymore. The heavy siding will then crack and water will infiltrate through the internal wall. During winter, the water will freeze and expand into ice, causing the brick to break. That’s when the wall will collapse, a great danger for the inhabitants of the house, or for the employees and client or your business. But don’t worry: our painters have very good exterior painting skills and they have an efficient solution to prevent your lintels’ deterioration. Our professional painters will proceed to a rust-resistant treatment that will ensure the durability of your lintels and the longevity of your façade. Also note that our painters are fully equipped to work in heights and they can restore lintels on many-floors high buildings. In conclusion, fall is really the best time of the year to restore and repaint your exterior siding, and do not forget to check your lintels because by neglecting those important parts, you could see your structure collapse! To leran more about how we do lintel restoration, see our blog article What is lintel restoration? It’s always better to prevent than to cure! Contact a lintel restoration expert today!